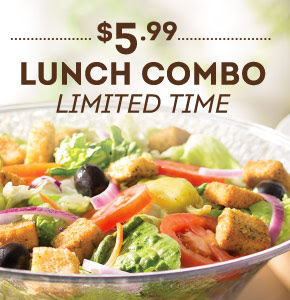 Olive Garden's $5.99 Lunch Combo is Back! Eat Lunch for Less at The Olive Garden! For just $5.99, you'll get unlimited homemade soup, their famous house salad and freshly baked breadsticks. 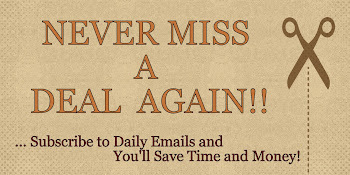 Hurry, this is for a limited time only. Get coupon here. *Monday–Friday until 4 p.m. Dine-in only. One coupon per check. Offer is valid at participating Olive Garden locations in the U.S. only. Expires 10/23/15.